Everybody hates Fridays. There’s nothing worse than being on the precipice of yet another boring weekend without all your cool work bosses. 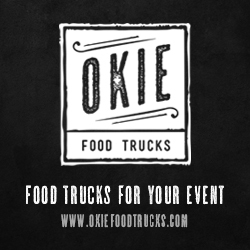 But Food Truck Friday is here to rescue you from boredom, thanks to our sponsor, Citizens Bank of Edmond. As always, you can find this (and many more) food trucks at Heard on Hurd, which returns to downtown Edmond 6-10 p.m. May 19. It’s hard to think of two foods more evocative of summer than s’mores and snow cones. During those brutally hot days, there’s no treat a young Greg craved more than a pile of shaved ice drenched in flavors like Silver Fox or Tiger’s Blood. It was light and sugary and, more than anything, cold enough to forget just how uncomfortable Oklahoma summers can be. At night, once a campfire was lit, there was little question we’d be roasting marshmallows. And why stop there, when the application of a miniature Hershey’s chocolate bar and a couple of graham crackers could make such an iconic dessert as a s’more? 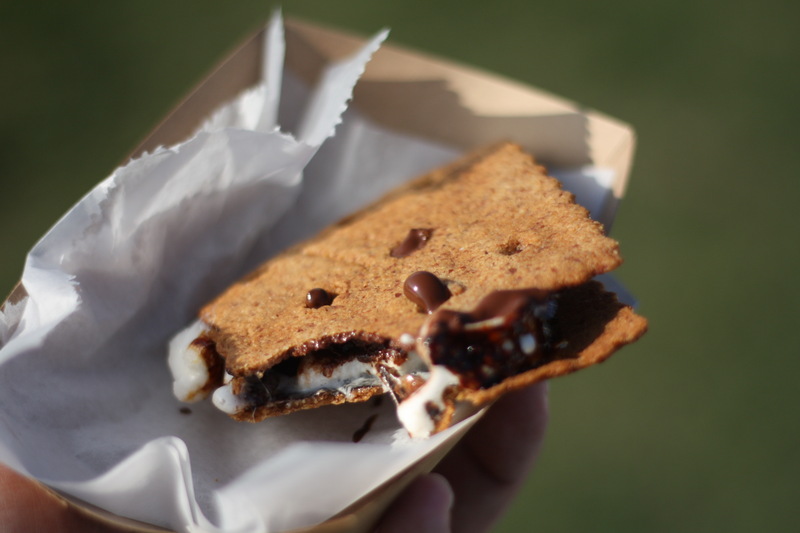 During the food truck boom of 2014, one truck seemed to instinctively understand the powerful appeal of these foods — Snow S’more. Four years later, owners Leo and Alison Hansen are still hard at work expanding their menu while staying true to the dishes that brought them so many fans in the first place. “If we had a brick and mortar, the menu would be so much longer,” Leo said. 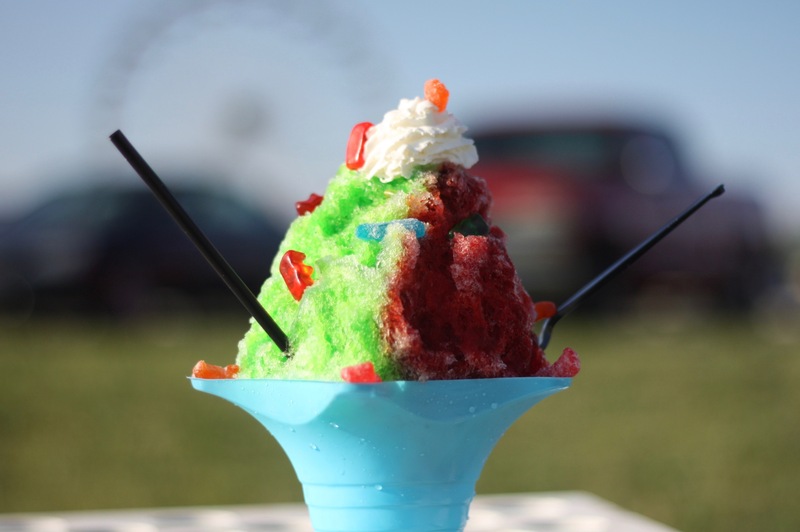 As it is, customers can choose from basic snow cones, specialty cones or just build their own. And gone are the days of the one-season wonder. Snow S’more operates year-round, he said. In the mornings they serve waffles and coffee. In the afternoons snow cones reign. And once night falls, the orders turn almost exclusively to s’mores. Though they’re more expensive, it’s hard not to recommend the shaved ice specials. Here’s the breakdown: a regular shaved ice is $6. Add-ons are $1 each. 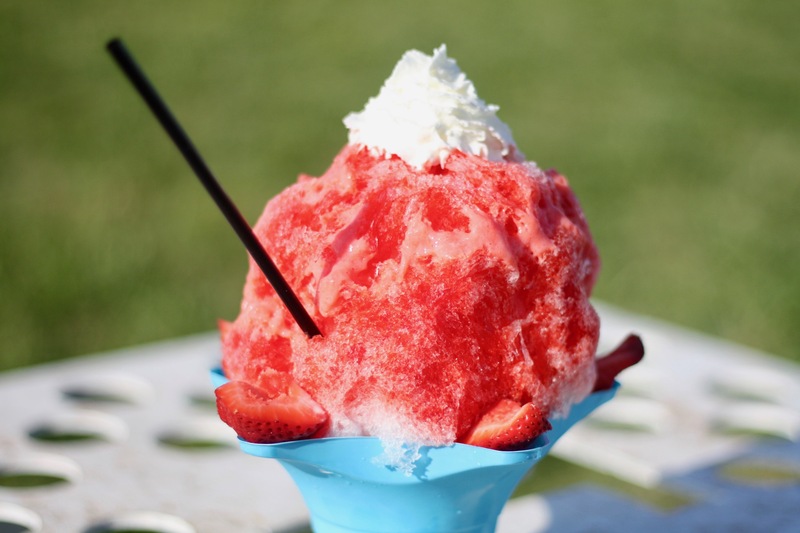 Shaved ice specials are $9, but they almost always contain more than $3 worth of add-ons. Strawberries & Cream ($9), for instance, is a scoop of ice cream piled high with shaved ice, drenched in strawberry syrup and cream, topped with whipped cream and studded with fresh strawberries. It’s huge. You will say, “Wow, I was not expecting that” when you get it, even if you thought you knew what you were expecting. Once it’s in front of you, your brain just has trouble fathoming how huge this pile of shivering sweet goodness is. It tastes, as you might expect, of strawberries and cream. It’s a delight. But let’s focus on HOW to eat this, too. “You have to start from the top down,” said Leo, who has watched more than a few amateurs attack a snow cone from the side only to see it collapse and fall to the ground. After taking an initial bite, flip the spoon over and pat down the ice. It’s very loosely shaved, so there’s a lot of air in there. Once you pat it down, you’ll find it’s more manageable. Continue eating and patting until you reach the ice cream. Then you’re pretty safe. Much as I enjoyed the Strawberries & Cream, I must recommend the Yummy Gummy ($9) as my shaved ice special of choice. First of all, you get to choose the syrup flavor, so I went with a mix of sour apple and cherry (aka Frog in a Blender). There’s ice cream in the bottom, whipped cream on top and so many gummy candies sprinkled in that I called my dentist halfway through to brag/apologize. These really are big, so if you’ve got kids or friends or just want to share with a stranger, I recommend it. Snow balls (2 for $4, 4 for $6) are not an iced product, despite the name. Instead, they’re delicate Oreo truffles — crushed Oreos mixed with cream cheese, dipped in white chocolate and rolled in Oreo dust. Find that stranger who split the snow cone with you and promise him/her one of your snow balls before you order, otherwise you’ll eat all of them very quickly and fall into a delicious, chocolatey coma. I was most excited about the s’mores, if I’m being honest. As an adult, it’s a treat I labor to get my kids to enjoy because I want the opportunity to eat them more myself. S’more are just wonderful and you know they’re wonderful. Snow S’more goes above and beyond with their s’mores by making both the graham crackers and marshmallows and using Bedre chocolate. The cracker reminded me of a ginger snap, which a chewier texture and more flavor than most graham crackers. The marshmallow was very gooey and quickly began to meld with the melting dark chocolate. It’s hard to eat without getting messy, but you also want to take it slow and savor it. This is a more complex s’more than you’ve probably had before and one you’ll crave again and again.